A bulletproof jacket is a protective covering used for protection for the torso from handgun bullets. Body armor has been used through centuries, and it was during World War I when body armor reappeared as protection against shell fragments. The armor designed during time though was too heavy so a lighter body armor was developed during World War II. This old bulletproof vest has overlapping steel plates, bonded fibreglass and aluminum attached into the covering nylon garment. This armor was called the flak jacket and it gave the wearer the flexibility to move freely and be safe from shell fragments. The bad thing about this armor was that it was not effective against armor-piercing bullets. The kind of bulletproof jacket being used today has 16 to 24 layers of heavily-weaved ballistic cloth. This material has the function of deforming the bullet and dissipating its energy. The bullet gets entangled in the layers of this fabric and the bullet from either a sub-machine gun or pistol that strikes that kind of garment is going to be immediately flattened as it hits the outer layers. The mushroom-shaped slug’s energy dissipate when it gets pressed against the remaining vest’s thickness, and it will not be able to penetrate the overlapping coarse mesh layers. The person wearing the vest may get bruised due to the bullet’s impact, but there will be no serious consequence. Aside from the regular military application of these vests, a lot of people are also buying these protections because of the rising incidents of terrorism. Actually, everyone – except those who have been convicted of violent crimes – can buy a bulletproof flak jacket for self-protection. Your situation or vacation does not really matter. If you want to stay safe because you think that you are at risk of being shot, you need the protection that can be provided by an effectively designed bullet proof vest. 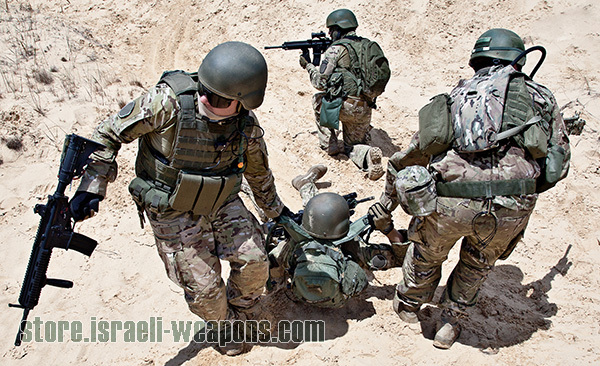 This body armor are made specifically to provide sufficient coverage for the body’s vital organs to ensure protection from potential fatal injuries. It is important to understand though, that these flak jackets do not offer guaranteed safety, but they offer the best defense against particular kinds of danger.